(1)Wool is dirt and stain resistant and will look great for a long time just by vacuuming regularly. (2) Use only cold water for cleaning of woolen carpets to avoid shrinkage. (3) Oxygen cleaners may damage the woolen carpets, so do not use oxygen cleaners. (4) Blot the spills immediately, use a clean and dry cotton cloth for blotting, after that wash the carpet using mild soap and cold water. First, for your Persian rug care, Stop sun damage and keep your rug out of direct sunlight. Sunlight damages the rug by causing it to fade or become lighter where the sun hits it. This is especially true of antique rugs or those with natural substances used for colors. Second, for your Persian rug care , Rotate your rug frequently if it is in the direct sun; rotate at least once a month. The rug will fade, but it will be uniform in color. 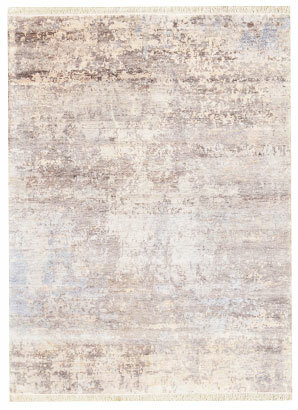 If your rug is not in direct sunlight, rotate it at least four times a year. A good way to remember to rotate your rug is the change of seasons. Third for your Persian rug care , Vary the pathways on your Persian rug. When furniture is placed on the rug, it creates a natural pathway that is used frequently. Move the furniture on the rug so walkways are changed. This will stop the damage of a wear pattern in just one place. Fourth, For your Persian rug care , Flip the rug end over end to straighten any twisted fringe. Do not comb the fringe as the natural fibers can become damaged. Flipping the rug end over end is done by grabbing one end of the carpet and walking it to the other end. The rug will then be upside down and the fringe will straighten out. Shake the rug gently to help straighten fringe. Fifth, for your Persian rug care , Vacuum your rug regularly to keep it clean. Vacuuming will also keep the natural fibers from becoming packed down. If you have an old, antique or expensive rug you may want to turn off the beater bar of your vacuum. The beater bar can grab loose fibers, which can cause a run or tear. If you have a threadbare spot on the rug, a beater bar can also make the damage worse. Sixth, for your Persian rug care , clean all spills immediately. Do not use soap or bleach on your valuable Persian rug to clean it. First, absorb the spill with paper towels by gently daubing it from the end of the spill towards the center; this will keep the spill from spreading. Place paper towels under the spill to stop further damage to the backing. Use only water to clean spills on a valuable or antique Persian rug ; call a professional who has experience if the stain cannot be removed.